The walkability session Wednesday evening wrapping up our Baconfest “urban” film festival was another hit. With walkability consultant Dan Burden headlining and participation with Kensington’s own Tamara Lee, and myself Face Timing in as I walked around Silver Spring Maryland, 200 m from the D.C. border, the audience received a great cross section of the possibilities and challenges in creating a walkable environment. During the discussion after the presentations, a question about the replacement of strip malls with walkable infill came up. Clearly this is doable and there are examples elsewhere of this happening. However the critical decision point is always the economics. Imagine you are the owner of a strip mall that generates a profit and is over 85 percent leased. If it is an older strip mall it may have no mortgage or have been leveraged to finance improvements or another development elsewhere. What would your motivation as an owner be to stop renewing leases, possibly terminate some with a buyout or potential legal action and then decide to take on the risk of rezoning the property to create a walkable mixed use infill project that means taking on substantial debt as well as a marketing effort to attract new tenants? That is all a tall order. And, are all strip malls a bad idea? Certainly for many the quick in and out with the front door steps away from your surface parking lot is a convenience all of us have taken advantage of at some point. And what about those older malls, are they now considered historic? They are a dominant feature on every city, town, village and rural area landscape, and an important part of the evolution of building in North America. Should those be preserved? historic 1950’s design while encouraging redevelopment to occur on the back half of the existing buildings. I would put out there that the smaller strip malls located within compact urban centres may have a place as the Flower Theatre mall above. A terrific example is in downtown Silver Spring MD where I took Wednesdays audience on a walking tour through the Face Time call, although did not get to the front to highlight a great example of a preserved 1950’s strip mall (Goldie Hawn’s mom uses to work in the diner here apparently) and today Panera Bread anchors one of the busiest corners for traffic in the D.C. region while also being a tremendous pedestrian area with Discovery Channel’s headquarters right across the street and two entertainment venues including the AFI Theatre within 30m. At the heart of downtown Silver Spring MD is a great example of a preserved 1950’s strip mall at a very busy intersection for cars and people. That is Discovery Channel on the right with Panera Bread anchoring the strip mall. The subway is 200m to the left. I walked through that parking lot every day to and from work. This is a strip mall that works for people and cars. Are these two malls isolated examples, perhaps? It seems hard to believe that the malls of the past 30 years have anything historic to offer. As they age and the value may decline, we see them turning over to other uses. Very common in the older suburbs are former big box stores being used for places of worship, the design offering clear space and low rents. What can make a profitable mall or strip mall change? Incentives are the key. Keeping in mind the risk I mentioned above, there are great examples where owners have worked with citizens and city staff to arrive at sound redevelopment that many can support. The key is certainty in the outcomes. This means clarity in the zoning controls, clarity in any exaction's expected to provide public benefits, clarity in the process and clarity in the opinion of the neighbourhood and city. Again in Maryland, one of the most profitable mile of strip malls is currently being transformed into a new walkable downtown centered on a subway stop. Our success depended upon all that clarity. Owners were lined up to pay the levies we set for the new floor area and 10,000 housing units because there was clarity in how that revenue would be spent improving the transportation system, pedestrian realm, vehicular traffic and public transit. They were happy to dedicate land for expanding the parks and for a new public school, and they were willing to end leases, cancel leases and move some businesses. There was certainty determined through something similar to outline plans that the community, city and owners signed onto allowing for the certainty required for banks to sign onto mortgages based on 5 to 10 year building plans. And yes, there was an increase in density leading to more traffic. However, that increase in density is leading to better services, transformation of 80 acres of surface parking into a walkable mixed use urban centre and lots of public amenities. Was it perfect? Nope. The county still spent $50+ million on a grade separated interchange at the north end of the mile, effectively freezing over 50 acres of land and cutting off any hope of connecting and expanding the walkable transformation to the north. And the lease cancellation led to a massive law suit against the mall owners for not honouring a commitment to keep the mall as a “first class retail” facility. Trail which is such a great example. The zoning that was put in place to create all this transformative activity is pretty much the same as that which Council enacted last summer for the downtown here in Calgary. Yes we can transform parts of our landscape that may challenge many of our design sensibilities, but it is important to remember that we must provide a range of retailing that does require different building forms. Our key is to encourage developers to be a little more creative in meeting the needs of their tenants as well as the broader community. It is happening elsewhere, and it can happen here. Thank you to all those who helped make Baconfest such a great success, and thank you to YOU for coming out and showing such tremendous support and appetite for this type of dialogue and discussion. We averaged about 230 attendees per night with over 1800 attendees total. It was tremendous to see that kind of turnout and I really valued the insightful and interesting discussion that was had. This is not the end of these types of events, please vote for your preference of our next event on the Baconfest page. 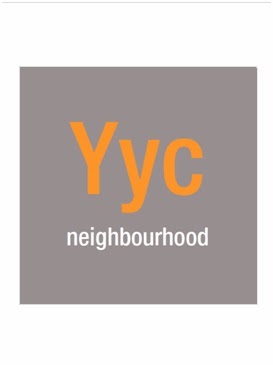 Also, we are half way there on our 1000 Friends of YYC list.Thanks to all who have signed up. Please encourage others to sign up now as well.